Facebook isn’t the social network anymore. So what is it? 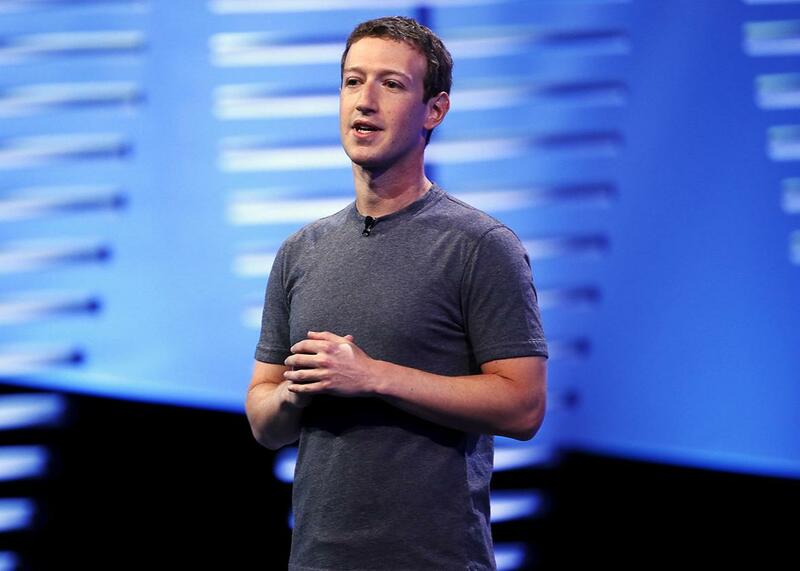 Facebook CEO Mark Zuckerberg speaks onstage during the Facebook F8 conference in San Francisco on April 12. Even before it was the title of a movie, the phrase “the social network” was synonymous with Facebook. Mark Zuckerberg’s startup snatched the title from MySpace in 2008, and its pre-eminence among social networks has gone unquestioned ever since. Now there are signs that it may have peaked. Not as a media platform, or as a place where people simply spend time on the web, and certainly not as a business. But as a social network per se—a place where people go to connect with friends and acquaintances—Facebook may be just beginning to wane. To be clear, people are using Facebook as much as ever. At last count, it had 1.6 billion active users, with more than 1 billion logging in each day. It’s just that fewer of those people are using it to actually socialize. According to confidential company data obtained by the tech blog the Information, Facebook has seen a decline in “original sharing”—posts by people about themselves and their personal lives, as opposed to articles they’re sharing from elsewhere on the web. Bloomberg’s sources corroborated the trend and added that the company is internally blaming it on “context collapse,” an academic term popularized by Danah Boyd to describe how social media tend to blur the boundaries between interpersonal and mass communication. Whatever its effect on the company’s overall numbers, the phenomenon is real. Posting photos of your baby or your vacation, status updates that convey your mood or what’s on your mind, flirtatious messages to a secret crush—these are interpersonal interactions, the kind you’d typically share with people close to you, or at least people you have reason to believe are well-disposed toward you. But as Facebook has grown, and the average user’s friend list along with it, it has escaped the notice of almost no one that what you share on Facebook you might as well be sharing with the world. There are ways to limit the audience for a given post via your privacy settings, but those can be confusing and tedious to apply. It doesn’t help that Facebook’s own software monitors everything you do on the site in order to build up a profile of you that it can then use to help businesses serve you ads tailored to your precise demographic. When you consider all of that, the only thing surprising about the alleged decline in original sharing is that it took this long. Facebook has reportedly formed a task force to reverse this decline in personal sharing. They’ve experimented with new language to prompt more personal status updates. They’ve added new reactions beyond the like button to encourage people to share and react to posts that express sadness or ambivalence. Zuckerberg has been touting Facebook live video as a fresh, spontaneous way to connect with people that obviates the pressure to carefully craft your message. He has explicitly pitched it as an attempt to recapture the “raw,” “visceral” feeling that Facebook lost long ago. The company has formidable resources at its disposal, and when it sets its collective mind to something, it often succeeds. Still, I’d put its chances of reversing this decline in original sharing roughly on par with those of a MySpace comeback. You can tweak the parameters of an algorithm to show people better news stories, better reflect their tastes, or even make them happy or sad. But there’s no knob you can dial to restore their trust. In one sense, that’s true. This looks a lot like the first step in the doomsday scenario people have been laying out for the company ever since a few teenagers let the media in on their secret: Facebook had become uncool. And yet, if you look closely at what Facebook has been up to for the past three years, you’ll see that it has been quietly yet aggressively preparing for exactly this sea change. The company has reinvented itself in two distinct ways. First, Facebook as a platform has been quietly evolving into something different than a social network—something less personal, but no less useful. Second, Facebook as a company has been furiously hedging its bets on the future of technology and social media, to the point that it is no longer properly described as merely a social network—no more than Alphabet (né Google) is properly described as a search website. So what has the Facebook app and site become, if not a social network? The answer is rather obvious when you watch how people use it. It has become a personalized portal to the online world. This world includes news—more than 40 percent of American adults say they use Facebook for that purpose—but also entertainment, games, and yes, updates from friends and family. As a source of referral traffic to publishers around the web, it has become so dominant as to reshape how companies report, present, and distribute their content. Since the rise of the internet, companies have vied to build the perfect portal, the home page that would become everyone’s on-ramp to the information superhighway. Others have tried to devise the ultimate news reader, a personalized feed of the best stories and content from around the internet. Without ever saying so in as many words, Facebook has managed to do both—far from perfectly, of course, but more effectively than perhaps anyone since AOL. It hasn’t achieved this by accident. I’ve reported at length on Facebook’s yearslong quest to prioritize “quality content” in the news feed. By this, it does not generally mean showing its users better personal updates from friends but showing them better and more substantive stories from professional publishers of all stripes. That might be because its executives, especially chief product officer Chris Cox, foresaw that Facebook could not thrive forever on status updates alone. Meanwhile, it has added trending news topics to its main page, encouraged news organizations to begin publishing their best stories directly to Facebook, and promoted its native video player and live video platform in hopes of luring YouTube stars, celebrities, and media outlets to create more compelling viewing material. It wants to pull more and more kinds of internet uses within its walls, the better to keep its users’ valuable eyeballs there. categories like “U.S. News and Politics,” “Sports,” and “Entertainment”—mirroring the very sections you’d find in a daily newspaper. The feeds would still be ranked based on what your friends are liking, sharing, and commenting on, and they’d still include personal updates. But the reorganization would make your reading interests, rather than your social connections, the focal point of the app. In short, Facebook would be transforming itself from a book of faces into a book of news. So where did all the faces go? What insurgent social media platforms have arisen to topple the Facebook behemoth? Not Twitter, which feels even less safe and private than Facebook and accordingly pivoted away from socializing years ago. (Twitter is now pretty clearly a media company, to the point that it recently signed a deal to simulcast NFL games.) No, the new hubs of online socializing are, primarily, photo- and video-sharing and messaging apps, which focus explicitly on creating more intimate contexts for personal interaction. The two most prominent photo- and video-sharing platforms in the United States are Instagram and Snapchat. The two most prominent messaging apps (not counting Apple’s iMessage, which isn’t really an app) are WhatsApp and Facebook Messenger. By now you may have guessed where this is going. Of the four social-media platforms that have done the most to chip away at Facebook’s pre-eminence, three—Instagram, WhatsApp, and Facebook Messenger—belong to Facebook. And it has tried like hell to buy the fourth one. While Snapchat has resisted its overtures, Facebook has often tried to mimic or piggyback on the appeal of its core features, first with the ill-fated Poke app and more recently with live video streaming, which it views as similarly spontaneous and interactive. Widely mocked at the time, Facebook’s $1 billion acquisition of Instagram in 2012 has proved prescient. Same with its $22 billion purchase of WhatsApp, which many Americans had not even heard of when Facebook announced the deal in 2014. Yet Facebook has not confined its expansion to the purely social realm. Its $2 billion purchase of Oculus VR puzzled even some of those who grasped the logic of the Instagram and WhatsApp deals. Zuckerberg’s claim that virtual reality could one day become “the most social platform ever” feels a little far-fetched, given that the hardware fundamentally isolates the wearer from the people around him. Of course, we’ve doubted him before and been wrong. But the move makes a lot more sense when you stop thinking of Facebook as fundamentally concerned with social interactions. Think of it instead as a company that aspires to dominate online media consumption, and its foray into virtual reality—which so far appears best suited to professionally produced games and videos—suddenly seems entirely natural. At the same time, the company has been turning Messenger into a futuristic platform in its own right, opening it to developers to create artificially intelligent chatbots and building its own virtual AI assistant, called M. If virtual reality isn’t the next big thing, virtual assistants just might be. Still, in the age of Snapchat, Instagram, and WhatsApp, it’s safe to say Facebook is no longer the social network. And yet, through remarkable foresight, the company has reshaped itself to thrive in the very same post-Facebook climate that was supposed to spell its doom.